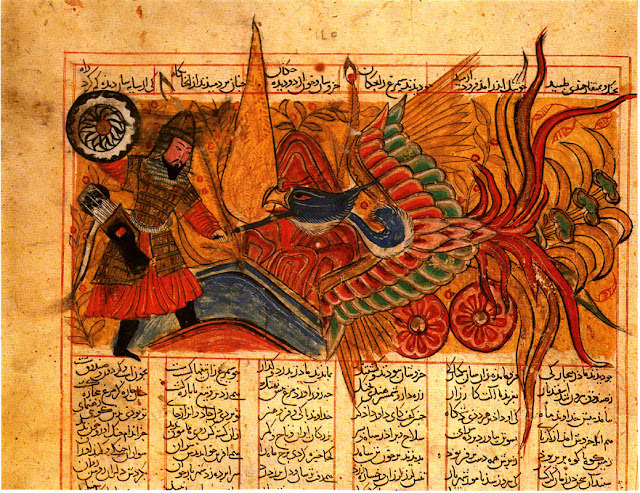 Combat between Isfandiyar and Simurgh Shah-nama (Firdawsi's 'Book of Kings'). 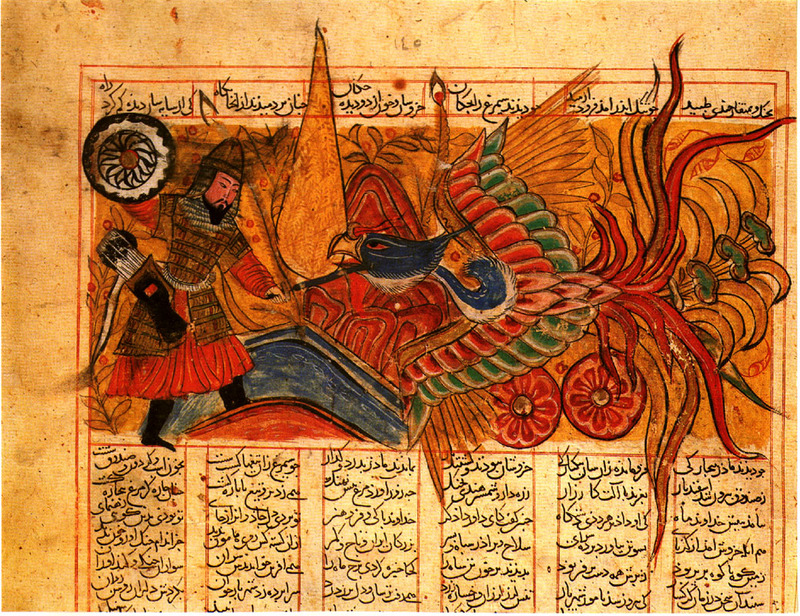 Simurgh (Persian: سیمرغ‎), also spelled simorgh, simurg, simoorg or simourv, also known as Angha (Persian: عنقا‎), is the modern Persian name for a benevolent, mythical flying creature. The figure can be found in all periods of Greater Iranian art and literature, and is evident also in the iconography of medieval Armenia, the Byzantine empire, and other regions that were within the sphere of Persian cultural influence. The mythical bird is also found in the mythology of the Turkic peoples of Central Asia and is called Kerkés, Semrug, Semurg, Samran and Samruk. The simurgh is depicted in Iranian art as a winged creature in the shape of a bird, gigantic enough to carry off an elephant or a whale. It appears as a kind of peacock with the head of a dog and the claws of a lion; sometimes however also with a human face. The simurgh is inherently benevolent and unambiguously female.